No memorizing for tests. Ever. 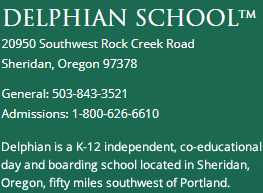 Delphian is not a typical educational experience. Here, students don’t memorize facts only to forget them after the test—memorizing is not learning. 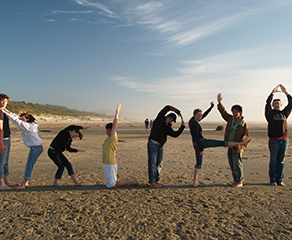 Learning at Delphian may involve reading about a subject, evaluating the ideas presented by comparing them to other concepts or ideas already studied, explaining the idea to someone else, demonstrating how it works, teaching it to someone else, and showing how they could apply it to their lives. In the end, it’s not just another fact to be memorized and abandoned; the subject has been incorporated into the larger structure of their education. And in the process, our students have learned to think and evaluate for themselves and use reason to solve the problems of life. Our students aren't examined for memorization but for comprehension and use of the materials studied. Delphian then goes one step further: any data missed on examination is restudied and then rechecked for understanding and use. 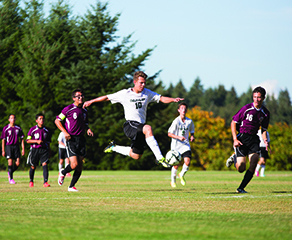 Delphian students don't pass a subject with pieces sitting there still misunderstood. There are no gaps or holes in our students' educations. This contributes to why the majority of our graduates are accepted into their first choice colleges and universities. They graduate with confidence—in their knowledge, in their ability to learn any subject, in their capacity to lead with conscientiousness and care, in their strength to maintain their own integrity about important issues, and in their choices to contribute to society in meaningful ways. 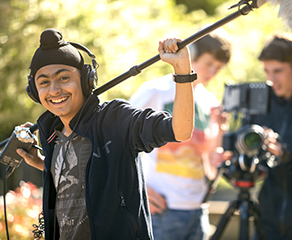 At Delphian, students learn the value of studying for themselves, thinking for themselves, and evaluating information for its truth, importance and usefulness; they also learn how to put these skills to work in achieving their goals—whether that's acceptance to a first-tier college, or crowd-funding their own start-up. 'Practical application' means using the subject while you're learning it. Practical, hands-on experience is essential to learning. That’s why all Delphian students, beginning with our youngest learners, spend time putting their knowledge into practice every day. By the time they graduate, students have devoted over 1,000 hours towards applying their academic subjects to practical demonstrations, drills, experiments, projects, and internships or apprenticeships. A proven technology of study. 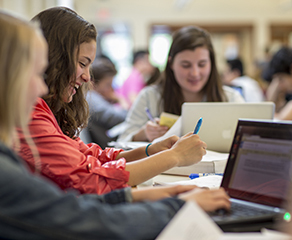 At the heart of Delphian's academic program is Study Technology, a process for learning how to learn, which was developed by American author and educator, L. Ron Hubbard, for use by any student in studying any subject. Once students master the techniques of Study Technology, they can apply it to help themselves learn anything they want to learn, in school and in life. The Delphi Program curriculum covers the full spectrum of core academic subjects: literature, math, science, languages, history, and the arts. 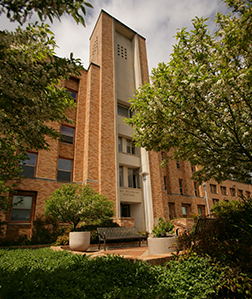 Students also focus on ethics and integrity, leadership, life skills, computer technology, and physical education. And they choose from an expansive selection of elective co-curricular courses that are considered part of their academic program, not nice-to-have extras. The best part? In addition to a rigorous core curriculum, our students work one-on-one with a curriculum specialist to develop their own individual program of study tailored to their interests. 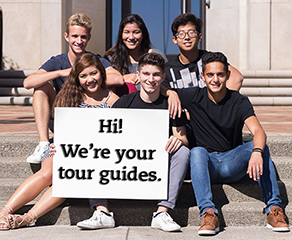 These individual academic programs are designed to fill in any gaps in a student's previous education, bolster areas that may need extra attention, and help students pursue their own personal academic passions. Students can move as quickly through their courses as they like, as long as they demonstrate that they fully understand and can apply the material to their lives.